Actor Micky Park Yoochun responsed wittily to a harsh question, causing a burst of laughter. On the afternoon of March 5th, 2012, Park Yoochun attended the production press conference of SBS new Wednesday and Thursday drama series Rooftop Prince held at Lotte Hotel at Jamsil, Seoul. On the production press conference, reporter asked “What’s the differences with Lee Seung Gi?” Park Yoo Chun answered, “Imperial robe,” attracted the attention. Park Yoochun and Lee Seung Gi will soon starring in the SBS’s Rooftop Prince and MBC’s The King 2Hearts, the new Wednesday-Thursday dramas that began airing on March 14, 2012. As such, the two persons about to start a ratings Competition of self-esteem. Rooftop Prince depicts after prince Lee Gak (Park Yoochun) lost his beloved crown princess, he travels through time, advancing 300 years together with his ministers to 21st century Seoul. In addition of Micky Yoochun, Han Ji Min, Lee Tae Sung, Jung Yoo Mi and others also starring in the drama. 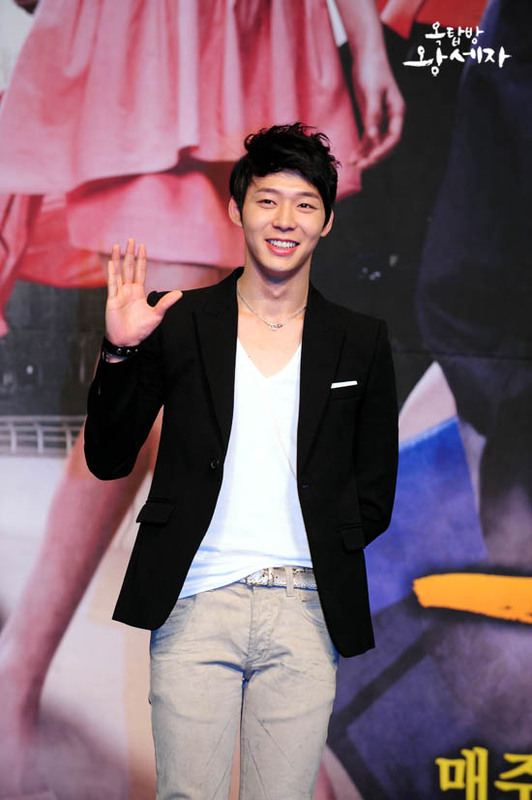 Rooftop Prince will take over the slot of Take Care of Us, Captain, and debuts on March 14th, 2012.